Our staff offers an array of valuable business and human services experience. Each member of our team has an important role at Good Steward Business and Benefits Consulting, LLC. We encourage you to get to know the members of our team on a personal level so we can provide outstanding service for you. Doris “Cookie” Palacios holds a Bachelors in Sociology with a minor in psychology from Hampton University, and a Masters in Social Work from the University of Pittsburgh School of Social Work, where she was named a University Scholar. Cookie’s passion has been to bring the discipline of social work to the resolution of national and international poverty systems and solutions to populations with special needs. Cookie’s career spans over forty-five years in graduating positions of leadership and executive management. After performing child protection services as a social worker in Georgia and Virginia, Cookie traveled with her military husband to Philadelphia, Pennsylvania where she became the Deputy Director of Social Work Services for the Philadelphia Housing Authority. She also served as the Director of the Young Women’s Christian Association, YWCA, downtown center. There she worked with Dorothy Height of the National YWCA Racial Justice Office and focused on eliminating racism and empowering women. 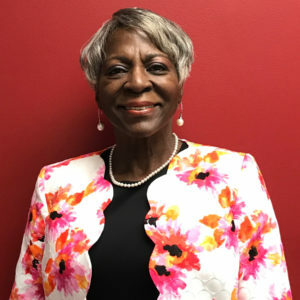 After working for the Pennsylvania Housing Finance Agency, Cookie was selected to serve as Vice President of Housing Development for the citywide development corporation of Dayton, Ohio. She spent eight years helping the city of Dayton develop affordable housing and provide neighborhoods with community development housing organizations, with the goal of improving the quality of life for poor and middle income families. Cookie was then recruited by the city manager of Chesapeake, Virginia to serve as Director of the Department of Human Services, a position she held for sixteen years. The department includes social services, Chesapeake Juvenile Services, a 100-bed regional detention facility serving four cities and two counties, adult community corrections, which provides adult offenders with community supervision for the courts, and the interagency consortium, which is the city’s comprehensive services act program for severely at-risk youth. Cookie has consulted with many agencies and serves on city and regional boards to this day. She is excited to be selected as the Human Services Executive Consultant for Good Steward BBC. Cookie believes that Good Steward BBC has a recognized business acumen and high achievement reputation in the marketplace that serves citizens with disabilities. Anthony Kearney has a Bachelors degree in Christian Education from Welch College in Nashville, Tennessee and a Masters Degree in Rehabilitation Counseling from Virginia Commonwealth University in Richmond, Virginia. Over his 27-year career, Anthony has helped individuals with disabilities gain independence, learn valuable life skills, and obtain meaningful employment. He has also served as a disability advocate. Anthony’s previous positions include work as a residential counselor, a psycho-social clubhouse counselor, a counselor for the deaf, and a lead counselor for the general disabled population. He also served as a psychological technician in both clubhouse and hospital settings and worked as a job coach and job developer. Before his retirement, Anthony was the Manager of the Portsmouth and Franklin field offices of Department for Aging and Rehabilitation Services. There, he served on the Work Investment Board and supported employment vendors and Social Security. He also partnered with the local school system and liaised with Community Service Boards. He consults with Good Steward BBC on employment issues. 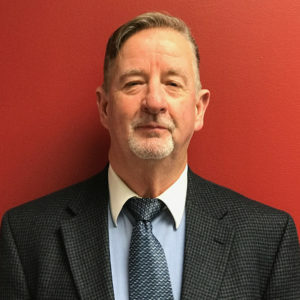 George M. Ennels is a Certified Forensic Evaluator and a Licensed Clinical Social Worker with the Virginia Board of Social Work, Commonwealth of Virginia. George has spent 38 years working in mental health and substance abuse, as well as working in behavioral health, both public sector and private sector. For 30 years, George worked at Chesapeake Integrated Healthcare, where he served as a Mental Health Clinician and later became the Supervisor of Emergency Services and the Mental Health and Substance Abuse Director. After retiring from Chesapeake Integrated Healthcare in 2012, he opened a private mental health practice, which is still in operation. George also consults on mental health services for Portsmouth Behavioral Health Services and Chesapeake Integrated Healthcare. At Good Steward BBC, George’s consulting focuses on administrative and clinical services. 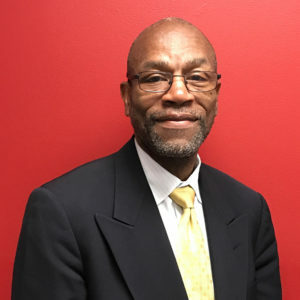 His professional affiliations include the Virginia Association of Community Services Boards and the National Association of Social Workers.